Our customers say: "I have worn Sloggi High leg (now called Tai) for years and I have just bought some more and they still look good on me. They make my legs look slender! 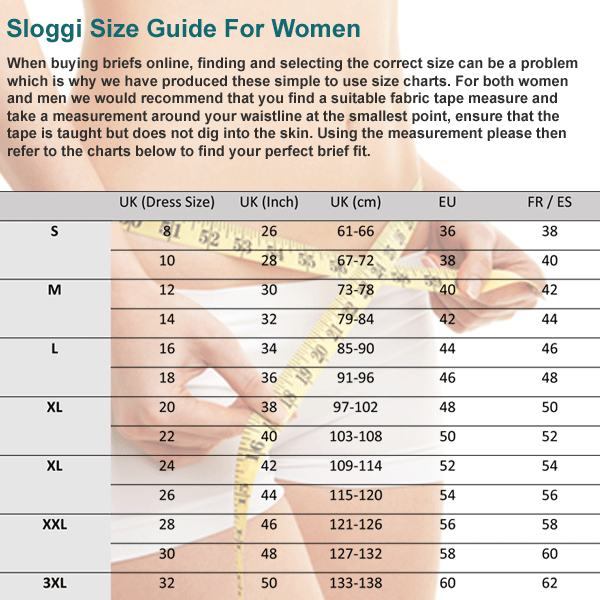 Sloggi Tai's always fit beautifully even wash after wash."
I bought these originally following hip surgery as I found my usual basic Sloggis went straight across the wound. However,they are so comfortable I think I will wear them all the time especially in summer. Seem a bit shorter than usual though? My favourite everyday undies. Comfortable, smart and great value!